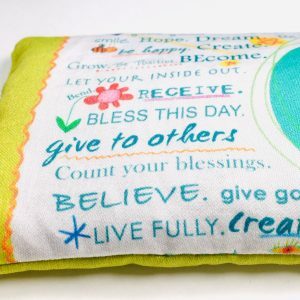 Handmade using custom designed organic 100% cotton, organic flaxseed, organic lavender and lots of love. Relaxing eye pillows help you feel more calm and peace in your day. 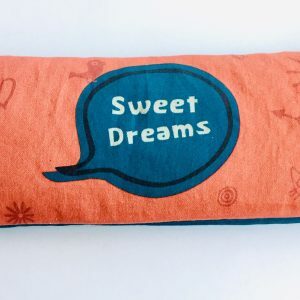 You can use them while you’re going to sleep, during relaxation pose in a yoga class, or anytime you need a quiet moment to chill and recenter. Lavender has a natural calming effect and the gentle weight from these handcrafted pillows touch the acupressure points around your eyes. This helps relieve tension, sooth tired eyes and aides in relaxation, meditation and restful sleep. To help relieve headaches and reduce puffy eyes, place your eye pillow in the freezer in an airtight container before use. You can also heat in the microwave for 30 seconds if you prefer to try it warm. Or just keep by your bedside and enjoy at room temperature any time. The lavender scent can be refreshed simply by rubbing the pillow in your hands. Clean the surface with a damp cloth as needed, but do not immerse in water. You are going to love this eye pillow and the peace it brings to your life! 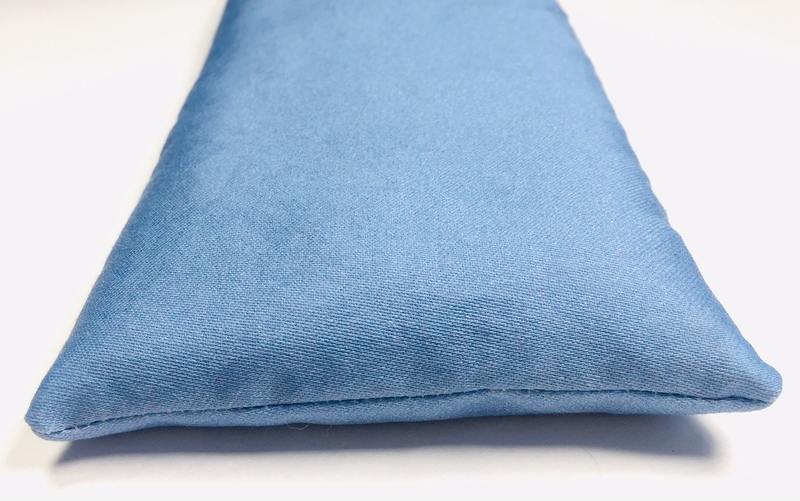 All of our eye pillows are created with custom designed organic 100% cotton, organic flaxseed and organic lavender buds. They come wrapped in tissue and make beautiful gifts. 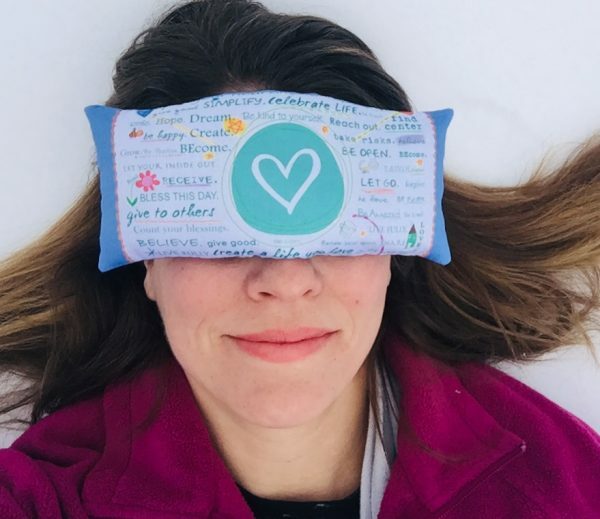 These eye pillows are amazing! High quality, incredibly soft and the lavender smell is heavenly. I have used these myself and given them as gifts, everyone instantly loves them. Do yourself a favor and buy one then let the relaxation begin. So happy to receive these eyes pillows. I’ve ordered 5 so far as gifts and one for myself, of course. The perfect end to my day, moments before falling asleep, heachache soother. So soft and smells luxurious. 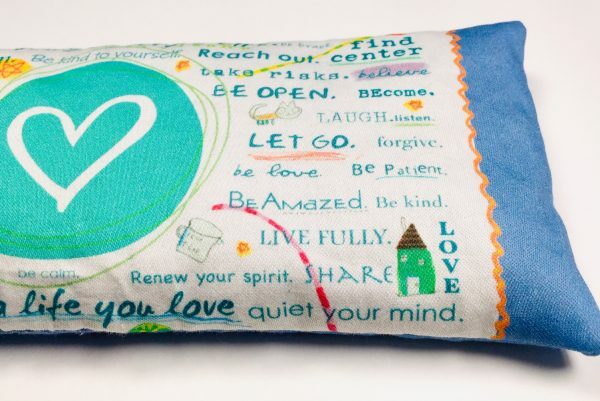 Anytime I need calm this eye pillow is where I find it. Love! Love! Love! I could smell the scent of lavender coming from the box even before I opened it. I bought these for my team at work for Valentine’s Day. 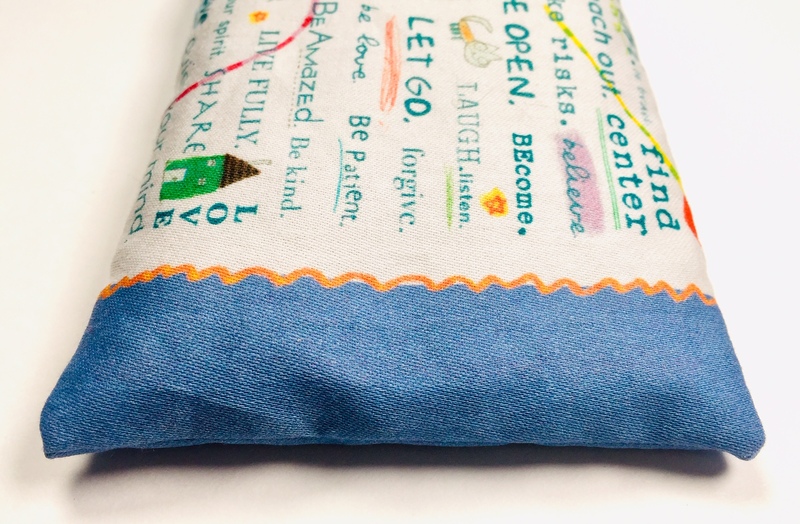 They are the perfect size, super soft, and made with love. My daughter and I both ordered one and we love them! Last night I was restless and couldn’t fall back to sleep, so I laid the pillow over my eyes and the scent and weight of it drifted me back into dream land. My daughter (she’s 9) likes to sleep with hers. I definitely recommend!